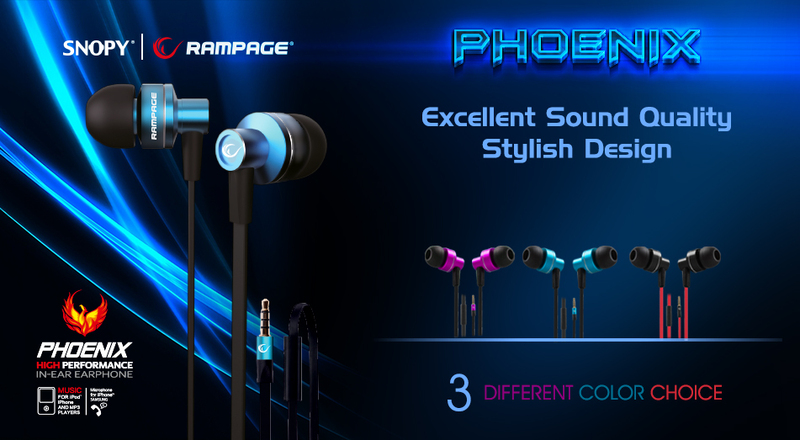 Snopy Rampage Phoenix Mobile Phone Compatible intra-ear Blue/Black Headset; Phoenix is a nominee to be your indispensable ear headphones that combine quality and elegant appearance! It allows the possibility to choose the appropriate one from 3 different colour as your eye taste. Pack your ear structure with 3 different sizes of rubber caps in the content, you can use the insert as appropriate. You can easily take phone calls through a microphone located on cable. 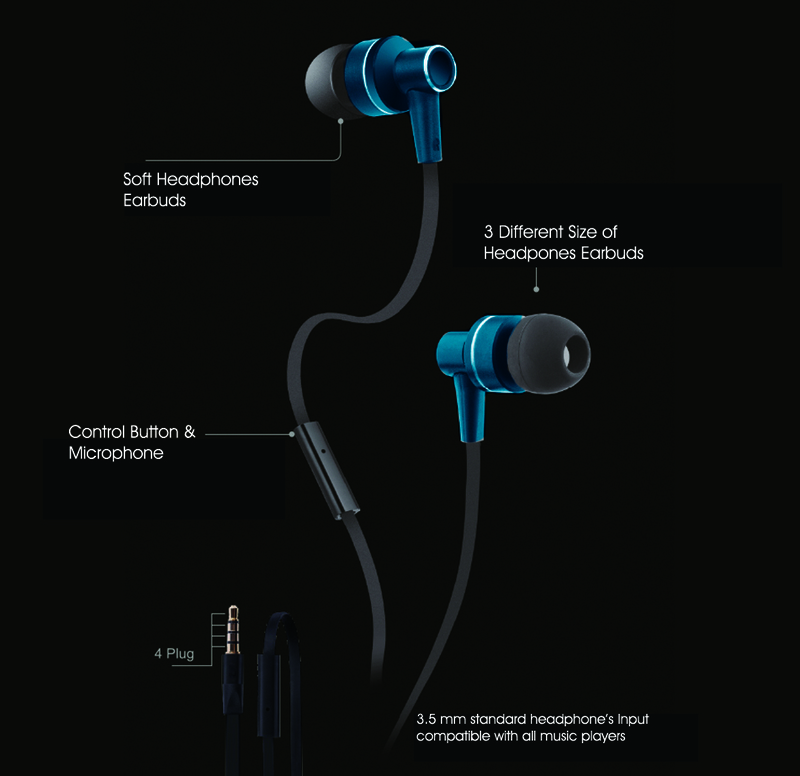 Snopy Rampage Phoenix Mobile Phone Compatible intra-ear Blue/Black Headset; Soft earbuds have great importance especially in-ear headphones. 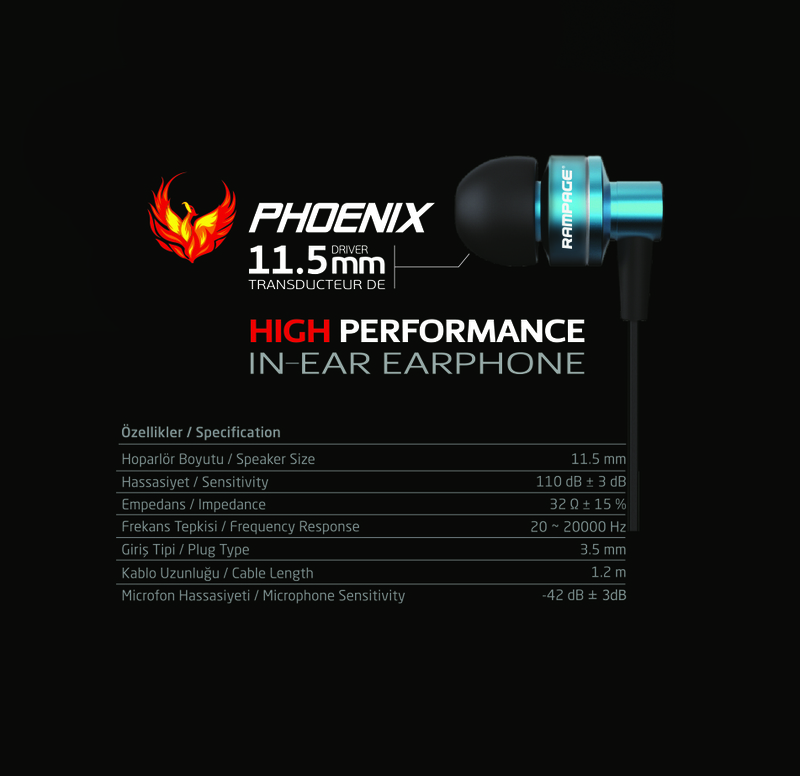 Therefore soft material is used in Phoenix headset. There are 2 different earbuds in the package insert of the appropriate content to enjoy the music play in your ear. Answer the incoming call through control button and microphone on cable, close and replace the music that you listen, You can start or stop as well.